Changing your oil is a job that every gear head can do easily. However, adding an Accusump to the car can make this engine maintenance task a bit more complicated. There are a few extra steps required to be sure your Accusump is operating properly and getting its share of fresh oil. 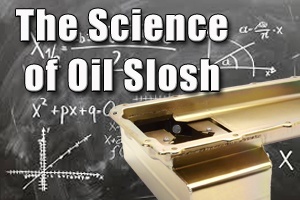 The Science of Oil Slosh & What is going on in your oil pan. As with many things there is a balance that needs to be achieved when it comes to your oil level. We have found that there are two common misconceptions when it comes to oil level. The first misconception is that the more oil the better because you don't want to risk starving your engine. 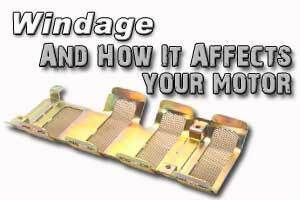 The second misconception is that the lower the oil level the better because you don't want windage in the crankcase that will rob you of power. 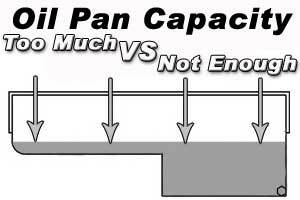 While both of these concepts are correct, carrying them out to the extreme by just raising and lowering the oil level in a stock oil pan is wrong. This thinking can actual cause more problems then it is supposed to solve. 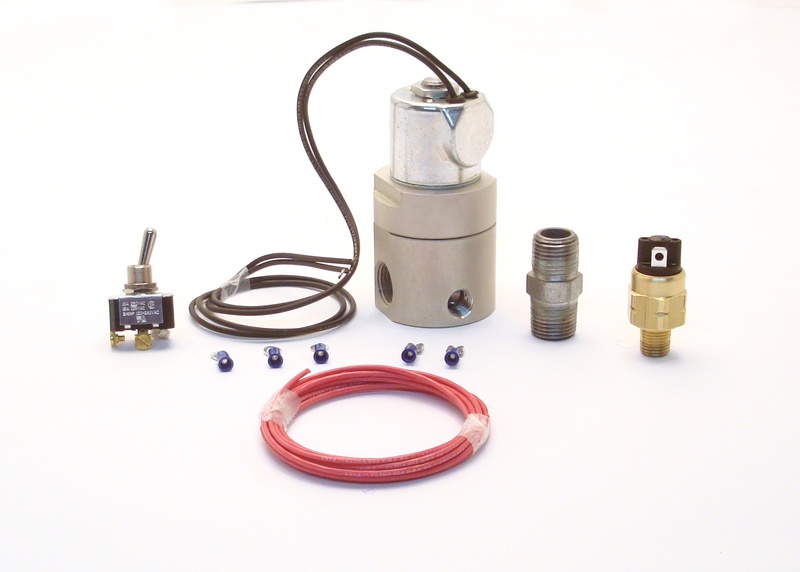 Importance of Accusump Valve Selection & How to Choose. 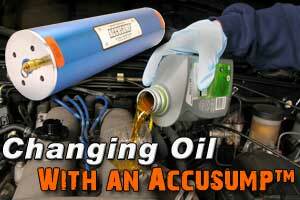 The Accusump is an important part of many oiling systems across the world. The Accusump can be an intimidating installation. 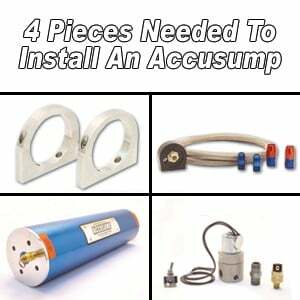 To help simplify the process of selecting parts we have put together a quick list of the 4 pieces you will need to properly install the Accusump in your oiling system. The Accusump has been around for over 30 years. Since it was created the Accusump has saved countless engines, spared thousands of bank accounts and allowed racers to continue racing instead of needing costly engine rebuilds in the middle of racing season. 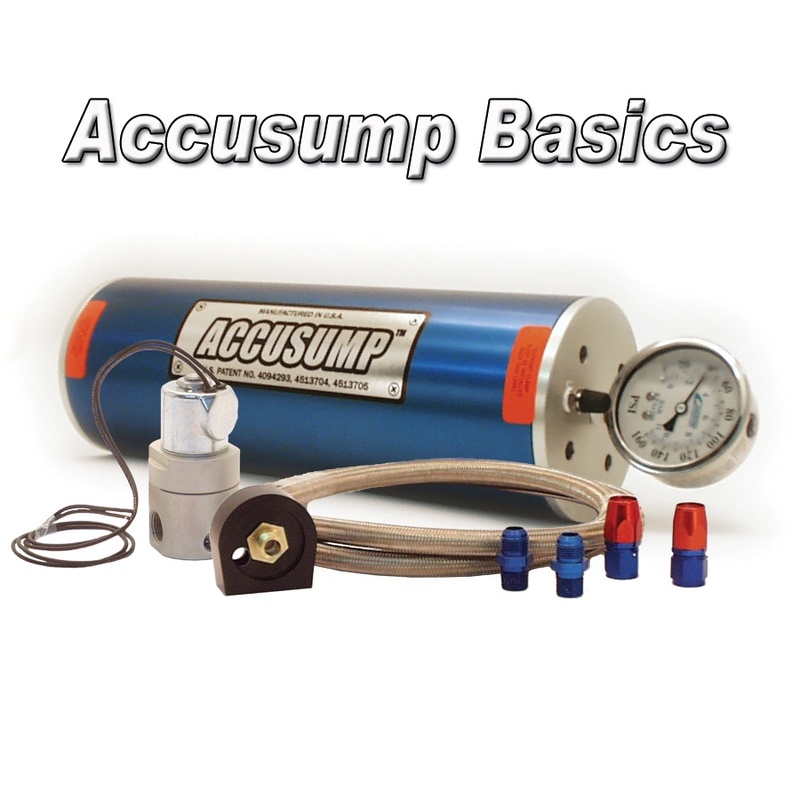 The Accusump is a piston style Accumulator. To really understand what that means we need to break that down into two parts. Part one, what an Accumulator is, and part two, the benefits of the piston design. The Canton Blog is your source for information and insight on the world of engine oil and cooling systems. We answer the common and not so common questions that come up in our daily work as a designer and manufacturer of engine oiling and cooling solutions.